The Linux system supports joining users together in a group to make account management easier. Let’s take a look at how you can create, list, and erase groups and add and remove users from them. Apart from a Linux-based system, such as Ubuntu OS (if you don’t have it already, see how to install ubuntu desktop), you also need to ensure that you are using the root account or a user that has super permissions (sudo). To check for the user groups, you can use the “less” command to list users on Linux. The groups or Linux are identical to groups on any other operating system, or in real life. Think of a group as a unit of organization that you can use to manage user accounts of your system. After creating groups and adding the desired users to it, you can share files with the group, as well as set different permission, including those to read, write, or execute. Primary groups – if you create a file from scratch, the system will set its group to your primary group. You can find more info on your primary group if you check “/etc/passwd” file. Supplementary groups – some people also call them secondary. You use these when you need to give specific permissions to a file to the preferred members of the group. By adding a user to a particular group, they also receive all the permissions set for its members. The only limitation is that each user can only have a single primary group while you can be a member of the unlimited supplementary groups (or not be a member of any). Here, the “-a” is an option that tells the system you want to add the user to a group. In case you do not use this option, the system will think that you want to remove the user from all other groups except the ones listed after the “-G” option. Keep in mind that Linux doesn’t confirm the success of the command. The system will only report if he failed to find a user with the specified username. The command is basically the same, except that you separate the groups by using commas. You can list as many groups as you want. You won’t get any confirmation that the command was successfully executed. Once you create the group, you can start adding members to it. Make sure that you run the command properly and please note that you should specify the username at the end of the line. The “id” command can be useful to discover what groups the user belongs to, as well as get additional information about the account. If Linux doesn’t recognize the name of the user, it will show you complete information of the user who is currently logged in. 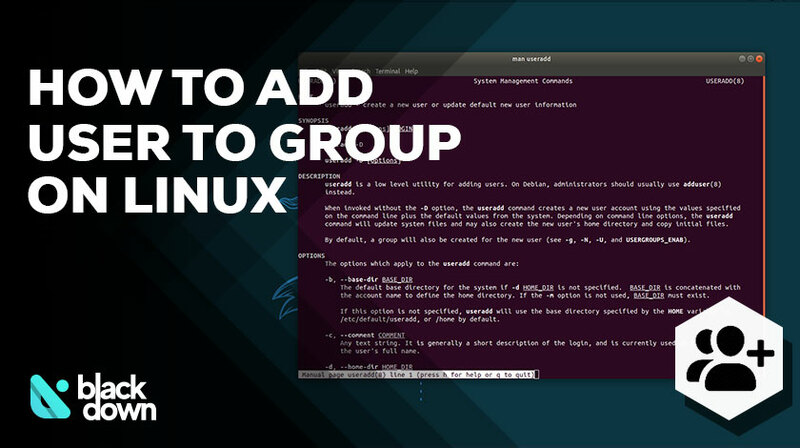 You should now know everything there is to know about adding users to groups on Linux. You can perform these commands on any Linux-based OS, including but not limited to Ubuntu, Linux Mint, and Debian.